Who would have imagined that a new piano would be my special gift to myself! It was one week since my mother had passed away at 100 and I was devastated, shaken by the loss– too distressed to be thinking about celebrating my upcoming birthday in any way. Yet when I saw an ad for a vintage Steinway grand, 1926 on Craig’s list that had an enviable list of positives, including a rebuild by a respected technician, I thought about checking it out, perhaps to honor my mother who had always supported my artistic endeavors. Even during economically hard times, she had managed to buy me my first real piano–a Sohmer upright that replaced a wheezing Weiser (about 52 inches high) that had land mines of buzzing notes, and many not playing at all. Yet on the up side, the keyboard provided a landing for my cage-free parakeet whose droppings further complicated my playing experience. Fast forward to Oberlin Conservatory graduation. My father, a railroad worker, had replaced the regal upright with a gorgeously resonant Steinway M, 1917, that sustained me through graduate school and my California relocation. And after two quality rebuilds, (one on the East Coast) the piano became a permanent fixture in my life. Cohabiting with the old-timer, my Baldwin Hamilton, known as the blind date piano, barely survived with its glassy upper treble and faltering bass– And considering the instrument’s age and condition, it had been cared for to a remarkable level. Yet with my personal grief rising to fever pitch, I knew that I needed some kind of immediate emotional relief and replenishment. 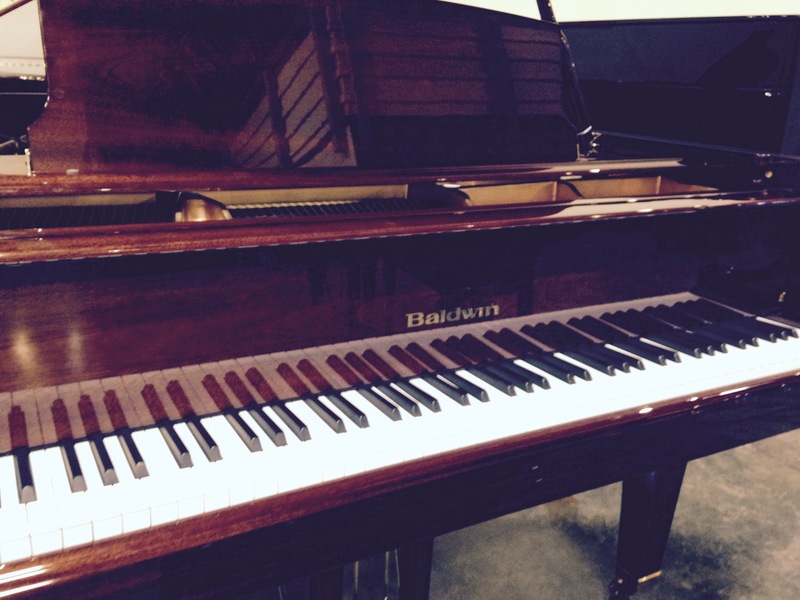 In so many words, that’s exactly how a new Baldwin grand came into my life…. So without further ado, here’s the beauty that won my heart and eased my pain. Here’s me trying it out before I met up with Baldwin 165. 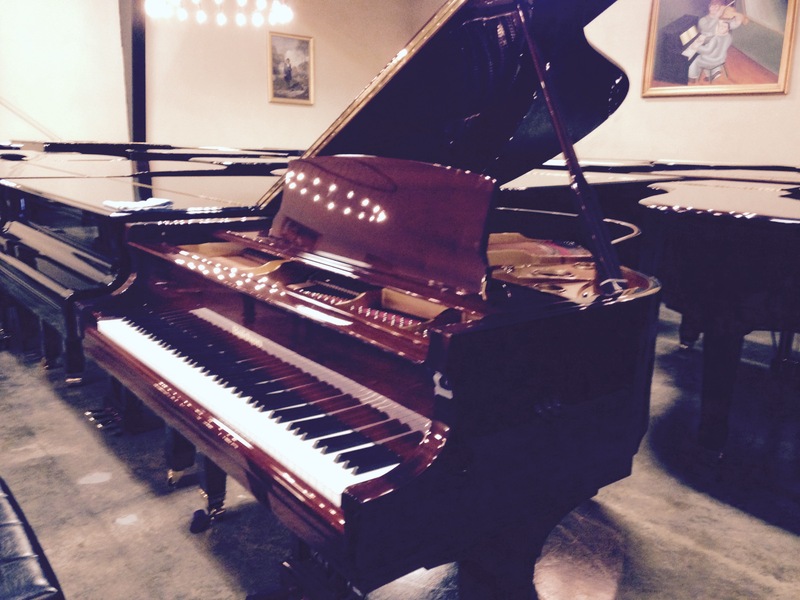 MY NEW BALDWIN GRAND PIANO ARRIVES! Ironically, my old Baldwin was acquired on Valentine’s Day!